Every residence has an electrical panel, also known as a fuse box, to help control the home’s electrical system. It’s important to make sure that your electrical panel or panel breaker is consistently working to distribute the electricity throughout your home. Electrical panels work to keep your home protected from power shortages and surges. Having a panel that is up to date and that works seamlessly can help protect your home from incurring permanent damage and electrical hazards. Therefore, it’s vital to keep your electrical panel adequately maintained by a professional technician. Circuit breakers are the primary way to help limit and control the electrical currents in your home. If you believe that your panel is outdated, you should consider getting an assessment. Our company focuses on both installations and repairs. For panel repairs, we can help find an error if you suspect that the panel has been malfunctioning. We’ll also be able to assist you with updates. It’s important to switch your panel every few decades because they can become old and worn down. This can end up causing some significant damage to your home. If you don’t want to risk an electrical fire or power surge, then consider hiring a professional. We’ll be able to provide you with installation as well. An electrical panel is a type of circuit control made of various parts that work together to keep the electricity in your home functioning properly. This includes lights, outlets, and any other appliance that requires electricity. Think of it as the control center of your home, as the panel will help conduct signals between your appliances and outlets. Each electric panel has five main components, each with their own unique function. The main circuit consists of one switch which is located at the top or on the side of the panel. It can be used to control the electricity running through your entire home. You can use it to completely shut off the power in your home with just a flip of the switch. These levers are usually in parallel lines which are either labeled or numbered. These are used to control the power throughout specific areas in your home. Some homes feature circuit breakers that link to each individual room, while others will shut down a whole section of your home at a time. Use this to power down electrical outlets and other power sources in your home. This is a singular strip of metal that runs along the bottom of the electrical panel, and it is installed to help conduct the electric power. The neutral busbar is similar to a conventional busbar, but instead of conducting electricity, it’s used to help control the voltage of the electrical panel. The last component is an open circuit. These are circuits which help prevent electricity flow as a result of a damaged wire or a blown fuse. What Does the Main Electrical Panel do? To give you a better idea of why an electric panel is critical, we’ll quickly describe some of the primary responsibilities that the electrical panel carries out. One of the major responsibilities of a main electrical panel is to help control the power in your home. Unlike other panels, the main electrical panel controls power to your entire home. This can be critical if a specific area is malfunctioning and needs repairs. With the central control, you’ll be able to switch off the power to one area before it causes damage to other parts of your home. The panel also controls an essential aspect of delivering power throughout your home. It helps prevent tripped wires by controlling the electrical current when there is a short circuit or ground fault. As the panel opens, it will no longer be able to conduct electricity to that area of the home, thus preventing the issue from spreading. As a homeowner, you’re going to want to minimize any damage at all costs. Having an up-to-date electrical panel can prevent you from having to replace appliances in other parts of your home. Short-circuiting can happen when there is low resistance in the connection between two conductors. As this process is prevented, you’ll find that there will be an excessive amount of electrical current. This will cause the power to short and can end up damaging the outlet, wiring, and anything else connected to it. This includes TVs, computers, appliances, and much more. As you can see, it’s imperative to have a functioning electrical panel if you want to avoid costly damages in your home. There are a few situations where you should contact our company for home electrical panel repairs or replacements. If your circuit breaker is already at max capacity, we can help you install more. This is useful when you’re planning to upgrade your home. Adding new circuit breakers helps control the electrical current to new areas. If you’re in an old house, you may not have full control over all areas of your home. By upgrading and adding new breakers, you’ll be able to maintain your home sufficiently. A fuse is a conductor that will break if there is too much current. This can help interrupt the electrical current to a specific outlet. While fuses are useful, they don’t fully protect your home. Many older homes include fuses, but as we’ve stated, it’s better to upgrade to a circuit panel. While the fuses provide you with some protection, they don’t always work. This can be dangerous for anyone in the area, as it can cause electrical sparks and damage throughout your home. 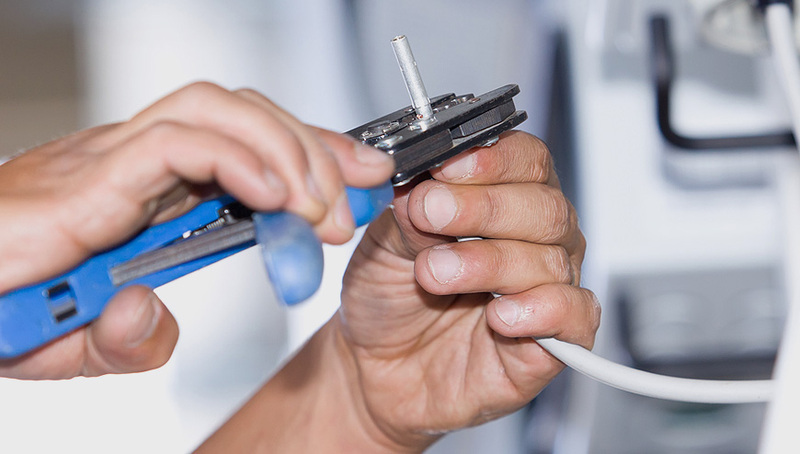 Our professional technicians are licensed and trained for electrical panel repair and installation. While it may be tempting to try and fix one yourself, you may end up causing more damage. Fixing a circuit panel is risky, especially if you don’t know what each part does. Don’t take the risk of injuring yourself; hire a professional instead. We can provide you with upgrades and installations and help ensure that your circuit panel is maintained correctly. If you have problems, contact us at 678-298-9363.